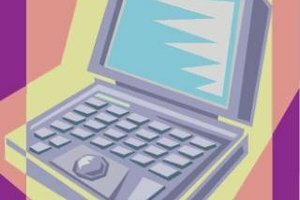 You can take both the GRE and GMAT on a computer. The GMAT is the traditional entrance examination for a Master of Business Administration program at a graduate business school. But over recent years, more and more business schools are now accepting both the GRE and GMAT. The GRE is the entrance exam for graduate school. These standardized tests have numerous similarities including length, content and format. The GRE and GMAT take nearly the same amount of time to complete. 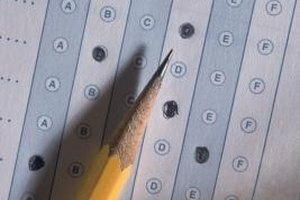 The exact time for the GRE depends on whether you take the computer- or paper-based test. 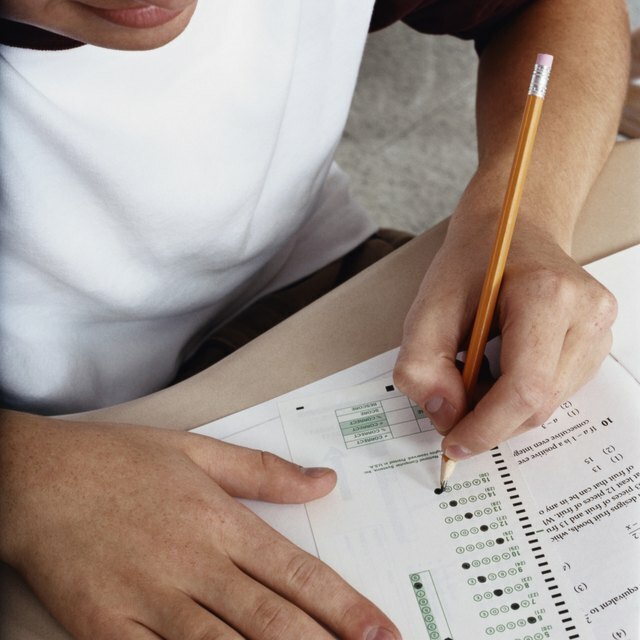 The paper-based test takes approximately three hours and 30 minutes. The computer-based test takes three hours and 45 minutes. The GMAT takes 3½ hours. Your scores are valid for five years with both tests. While the GRE and GMAT may be examinations for entrance into a postgraduate program, they both only test high school level math concepts. You will not see any trigonometry or calculus on either exam; these tests measure skills and concepts from algebra, arithmetic, data analysis and geometry. On both the GRE and GMAT, you will find a reading comprehension aspect to the verbal section. On these questions, you read a text and then respond to questions that test your understanding of vocabulary, your ability to draw logical relationships between concepts and your capacity to draw inferences from facts. Both the GMAT and GRE feature an analytical writing section where you must write a critique of an argument. On these sections, you are provided with a text and are expected to write a response based on a set of instructions. Outside knowledge about the topic is not necessary. Both tests are assessing your ability to write analytically, correctly structure a text and use evidence to support your argument. Both the computer-based GRE and GMAT are adaptive tests, meaning that not all students see the same questions. The test customizes your examination based on your answers. With the GRE, your performance on your first math or verbal section determines which level of questions you receive on your second section. With the GRE, you earn one point for every question you answer correctly. You can skip questions, return to questions and change your answers; only right answers affect your score. With the GMAT, moderately difficult questions come first, and if you answer correctly, harder questions appear next. If you answer incorrectly, easier questions appear next. Your score is calculated based on the number of questions answered correctly, the difficulty level of those questions and the number of questions answered overall. 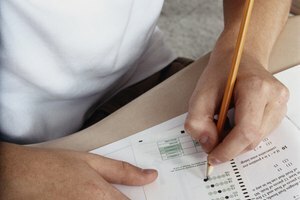 Magoosh GRE Blog: Is the Revised GRE Adaptive? Gorman, Fitzalan. "Similarities Between the GMAT & the GRE." Synonym, https://classroom.synonym.com/similarities-between-gmat-gre-1068.html. Accessed 19 April 2019.